Earlier this summer, Tom Hanks was found genial and competent enough to play Chesley “Sully” Sullenberger in the Clint Eastwood-helmed film about the Miracle On The Hudson events. We at The A.V. Club were somewhat skeptical of Hanks’ ability to portray an ordinary man who must overcome extraordinary odds, in part because he’d once befriended a volleyball. 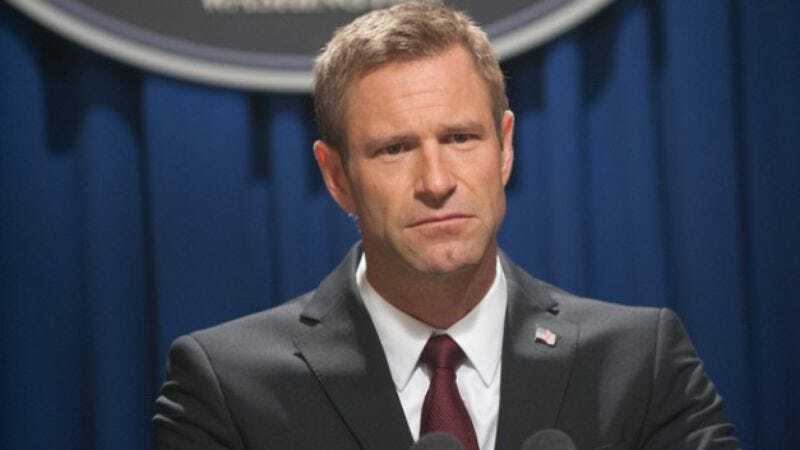 The Hollywood Reporter has somewhat set our minds at ease with the news that Hanks will have some help in the film: Aaron Eckhart has been cast as Sully’s co-pilot and co-miracle worker. Eckhart will play Jeff Skiles, Sully’s first officer and co-pilot who was manually flying the plane when it ran afoul of some Canadian geese. Although Skiles never received a sweet nickname from a mayor, he was instrumental in safely landing the plane in the Hudson. Eckhart’s been slumming in Gerard Butler-led action films and action-horror hybrids lately, but he could apply what he learns about performing a daring rescue in “real time” to help Hanks look good on film. The film will be based in part on Sullenberger’s book, Highest Duty: My Search For What Really Matters, with a script from Todd Komarnicki (Perfect Stranger) for Warner Bros. The as-yet-untitled project is in pre-production and will be released some time in 2016.